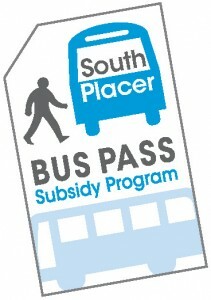 The Western Placer Consolidated Transportation Services Agency (WPCTSA), in collaboration with South Placer transit operators, is offering the South Placer Bus Pass Subsidy Program to help low income individuals access basic assistance and health care services on a short term basis using local public transit. Through this initiative, eligible social and human service and non-profit agencies may purchase, and be partially reimbursed for, transit day passes (or equivalent) from any of the three public transit operators serving Western Placer County to distribute to low income clients. Subsidized passes may be used for clients needing short term assistance traveling to non-emergency medical care or general public assistance services on fixed route buses. Through a monthly reimbursement process, WPCTSA will subsidize 75 percent of the pass cost. Participating agencies will be asked to submit a simple reporting form to document the number of clients served and general trip purposes. This program is intended to enhance, not replace, transit passes agencies currently purchase and is not intended to be a long term transportation solution for clients. An application will be required to participate in this two-year pilot program. Please see the included Fact Sheet for program details.